Spa parties are so much fun to relax with girlfriends, eat yummy food and most importantly put up your feet! The spa party I hosted last week was definitely relaxing and if you're thinking about planning a party, I say GO FOR IT! 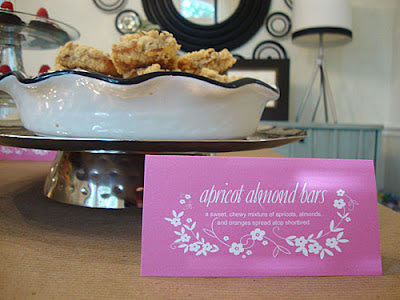 To make planning easy, I have a few free printables for you below..... from invites to food labels, you'll be ready for a party. I hosted a Mary Kay spa party, so I created one invite with Mary Kay noted on top and another blank spa invite. Directions: click the arrow below to download the pdf file or click the printer icon to print. Print on 8.5x11" heavy white/cream colored cardstock. Once printed, cut down the middle, both horizontal and vertical. Fill in the blanks with party specifics, place in envelopes (the fuchsia color matches the pink on the invites), then address and place in the mail. There are four invitations per sheet. I created a nail polish sheet to make it easier for guests to select a polish. Nail polish always looks a bit different in the bottle than on the nail, so I painted a quick swatch next to the name of the polish to help when choosing a color. Directions: click the arrow below to download the pdf file or click the printer icon below to print. 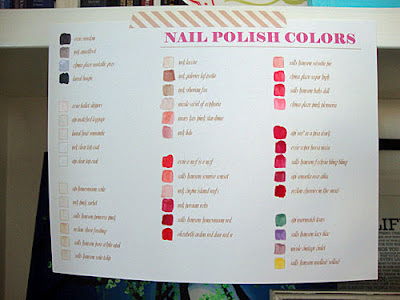 Print on 8.5x11" white/cream colored cardstock, write nail polish names on the line, paint a small color of the polish in the square. Hang for guests to see. Enjoy a relaxing night whether it's with 2 friends or 20! 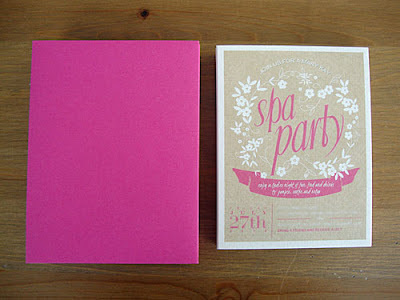 My spa party printables are available to print and/or download for your personal use. All free! So go ahead and download, print or just pass along the link... have fun! I am a party lover and so this post is for me..